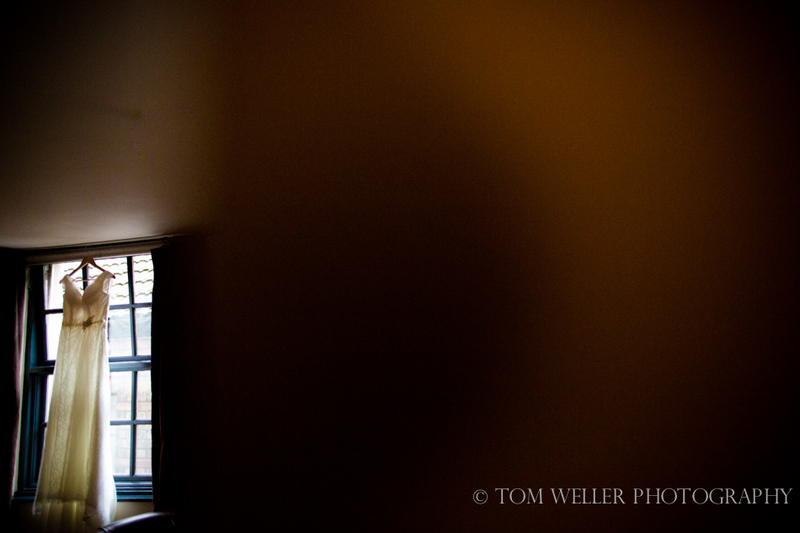 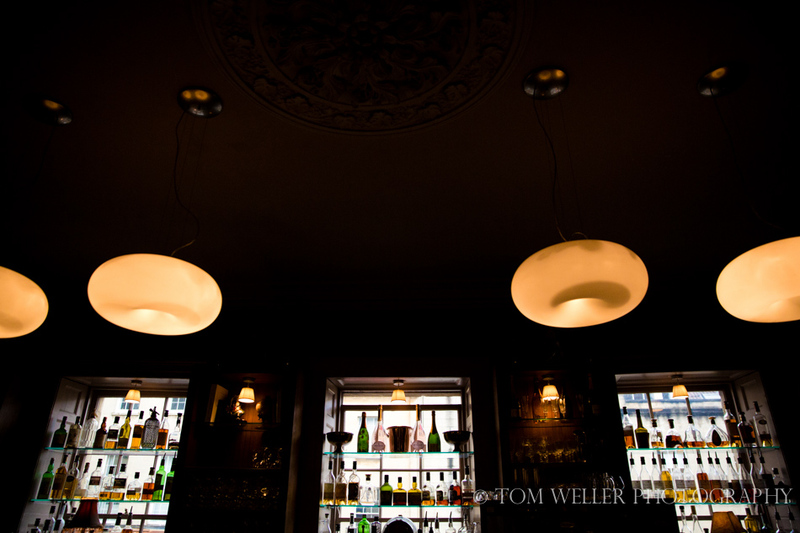 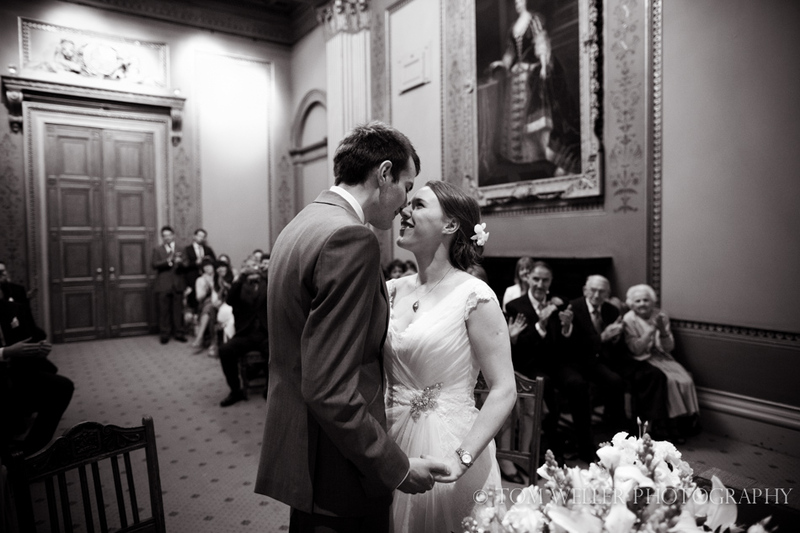 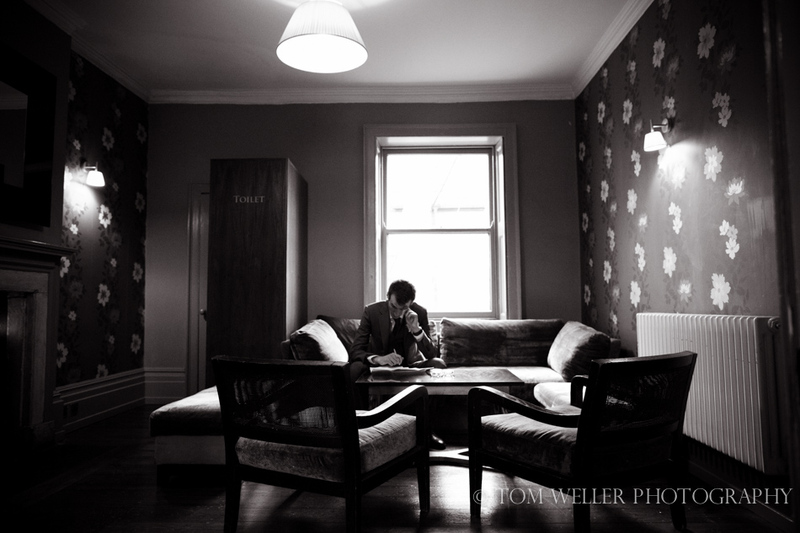 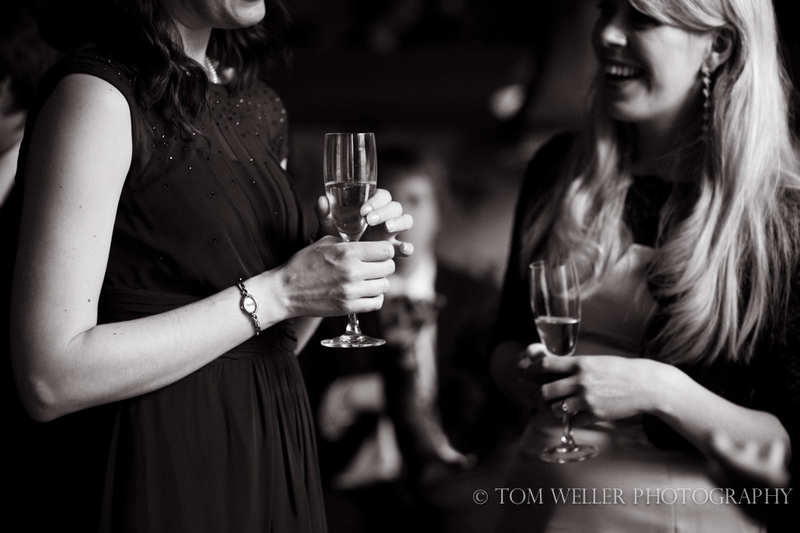 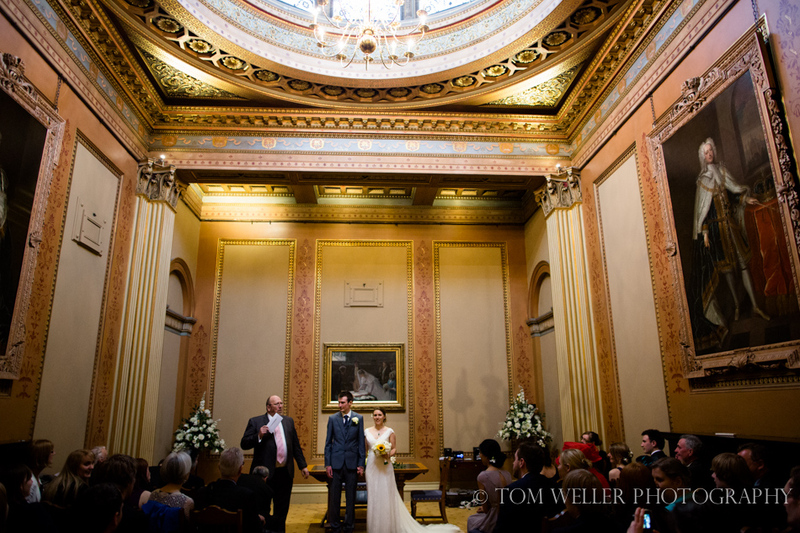 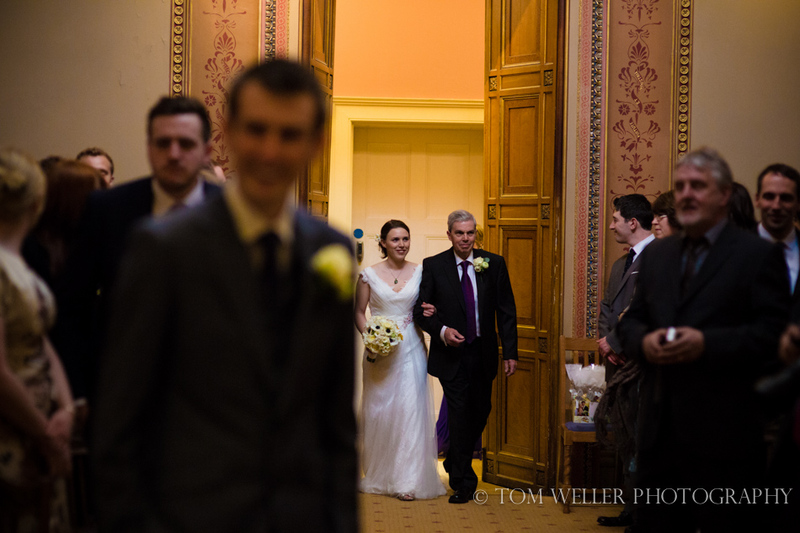 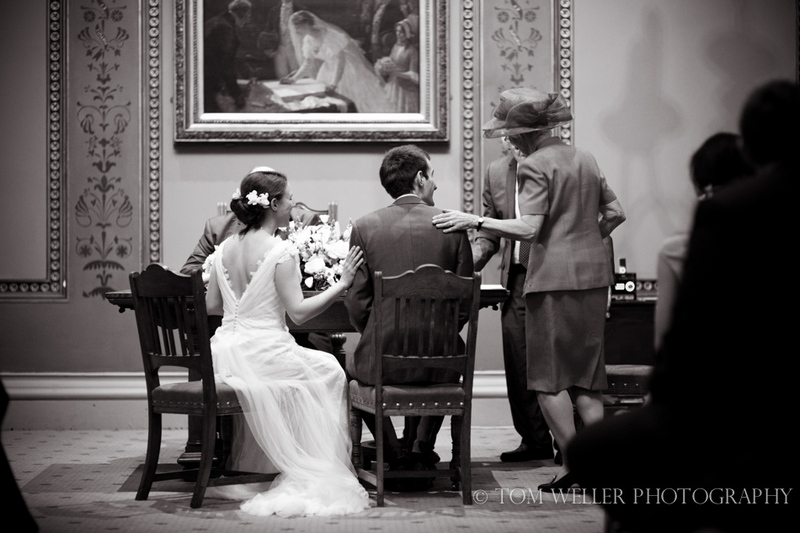 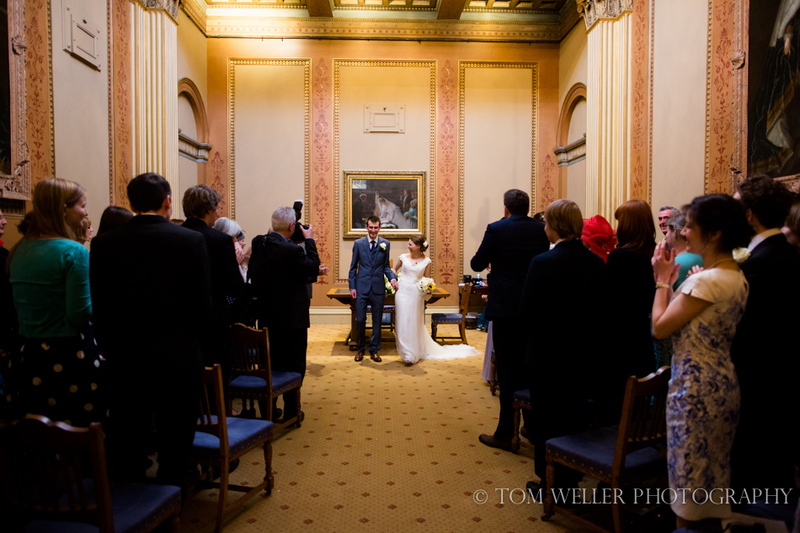 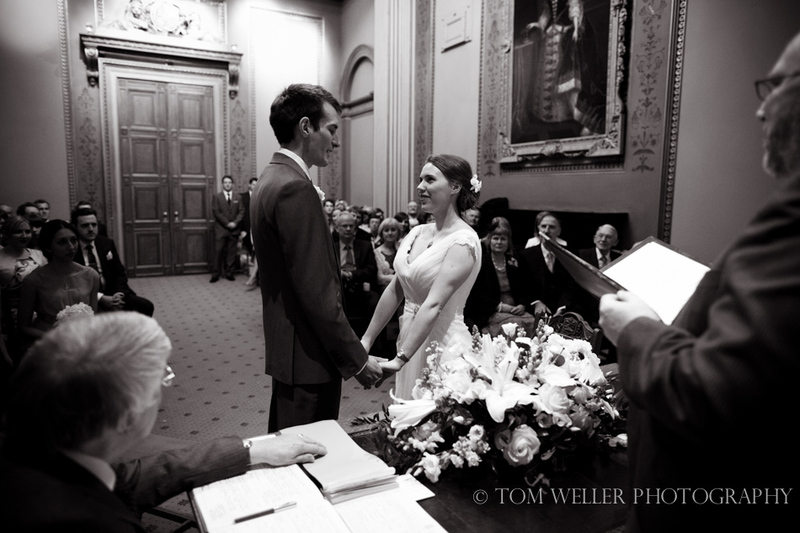 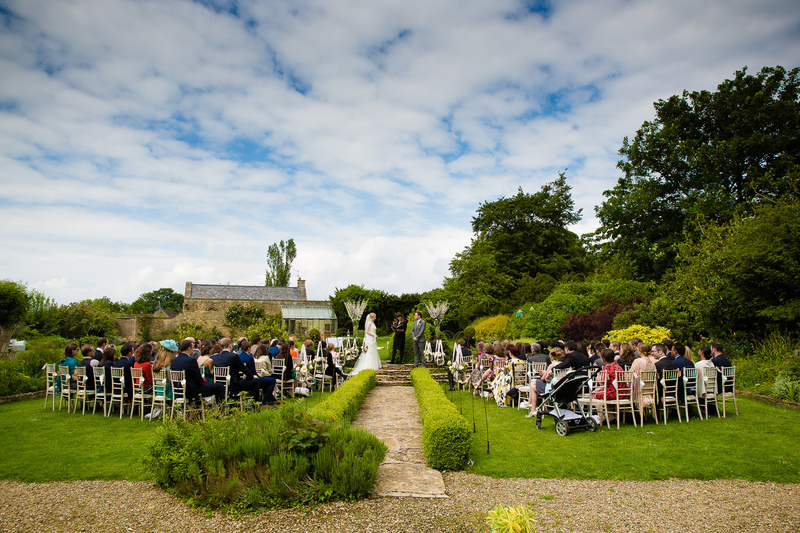 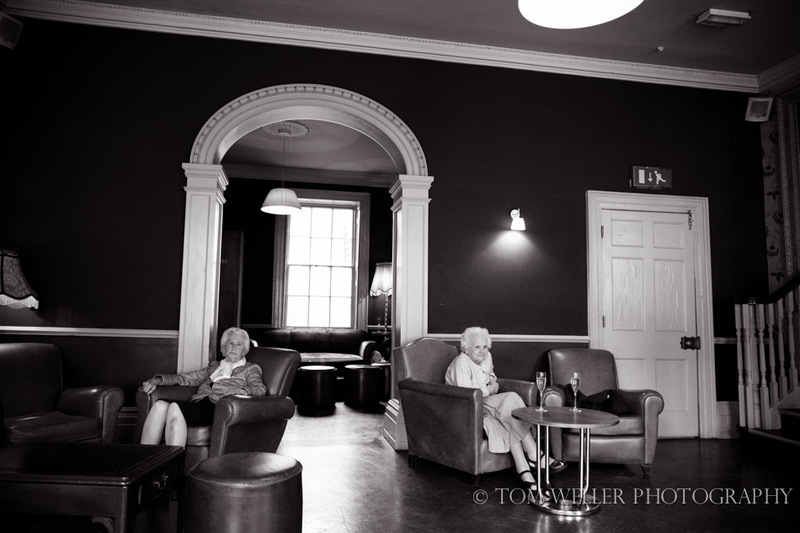 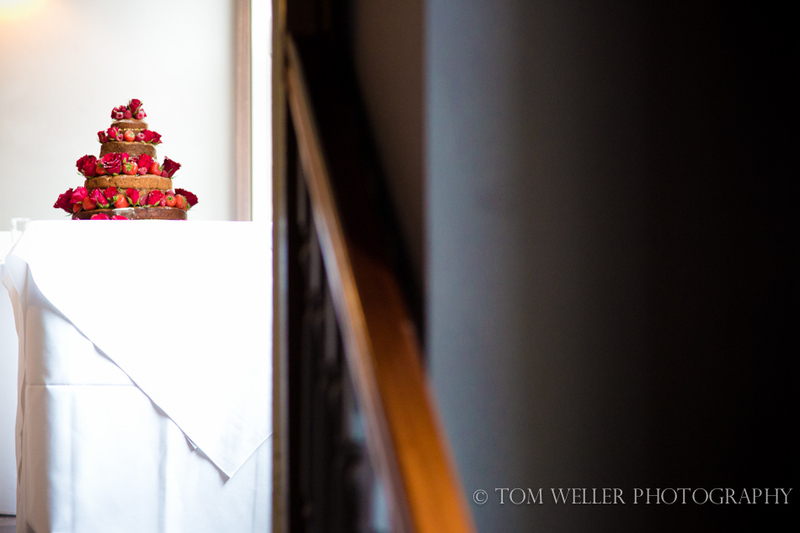 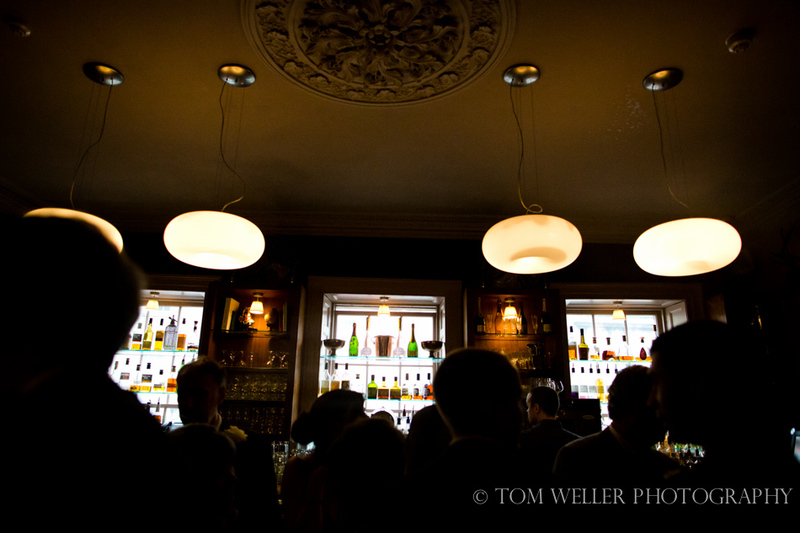 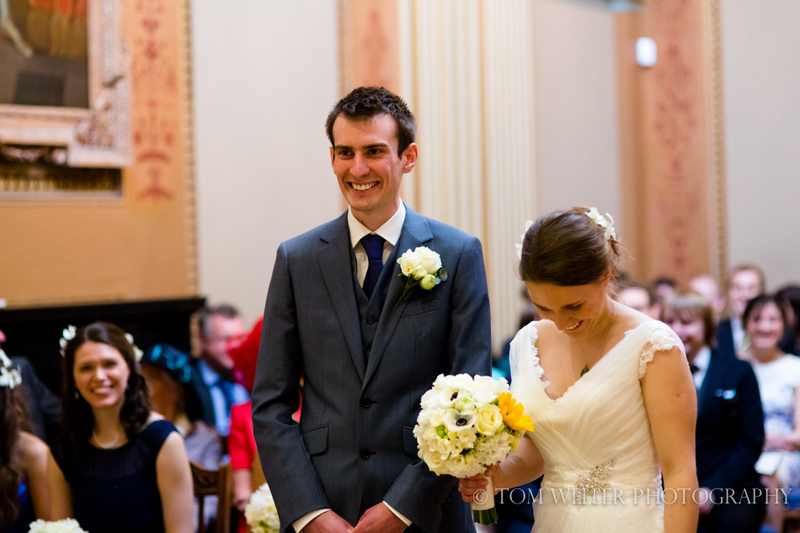 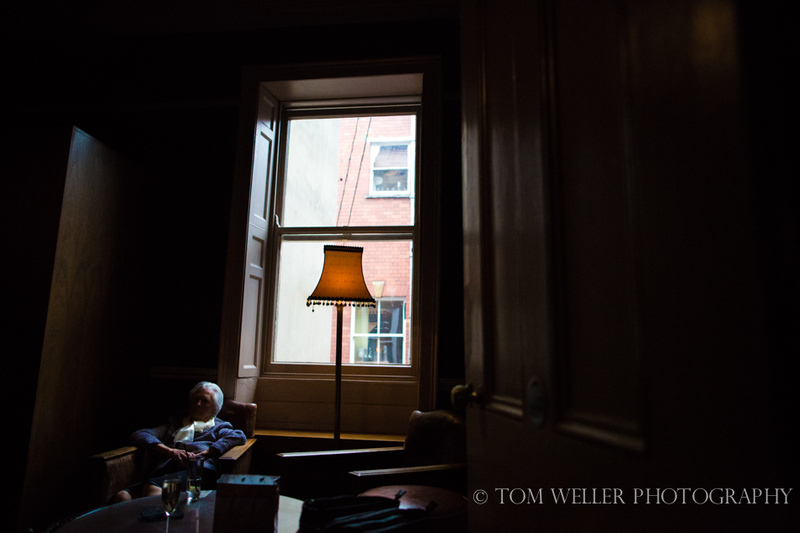 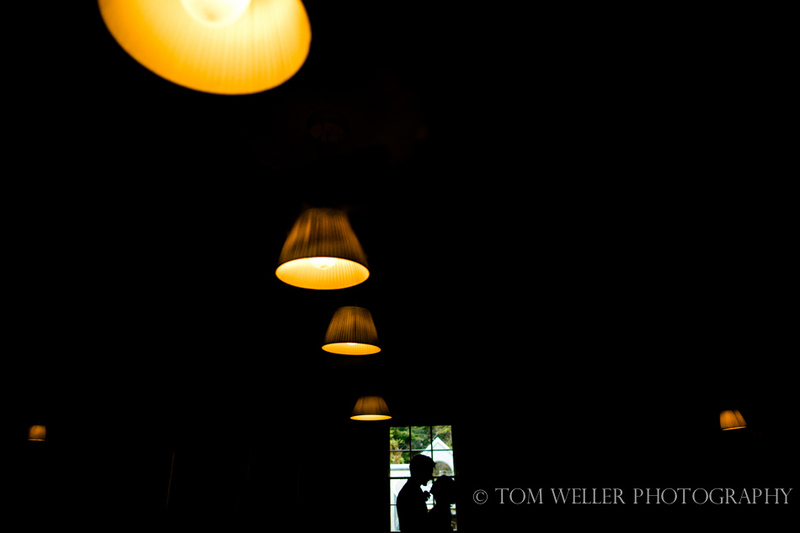 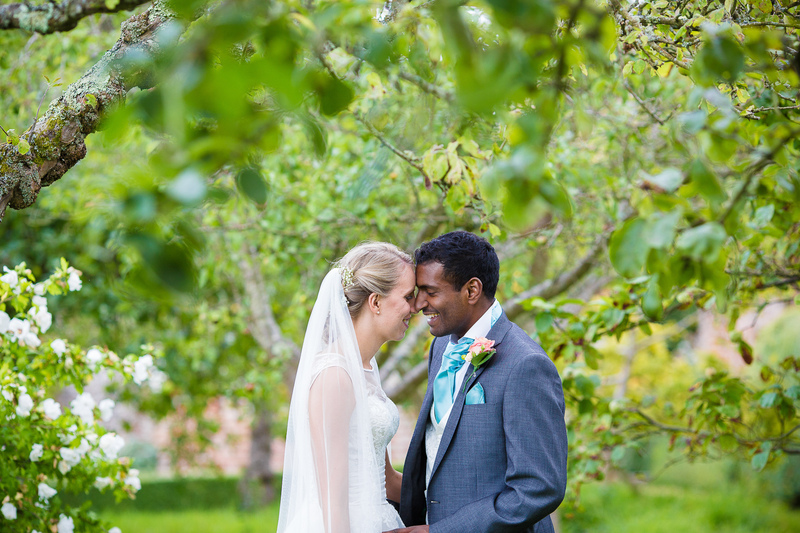 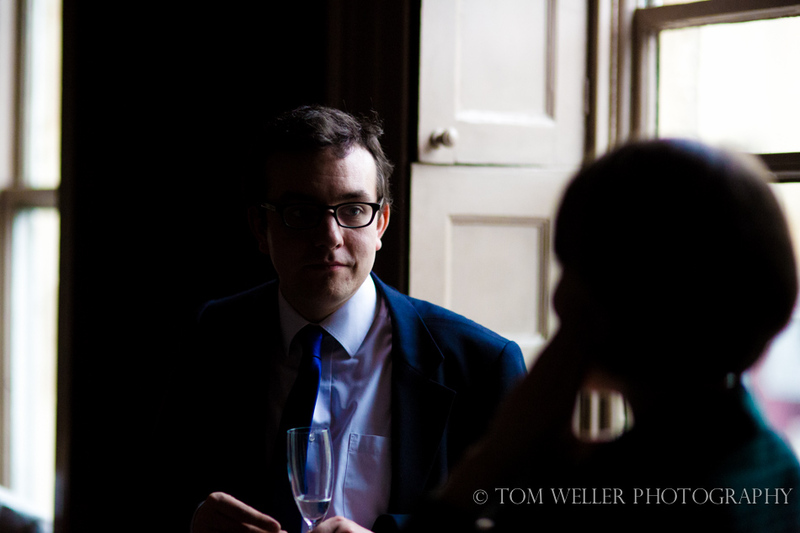 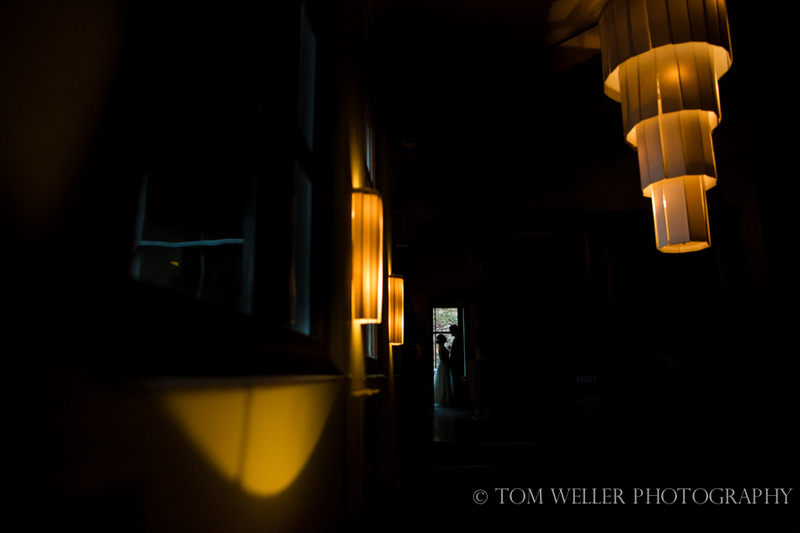 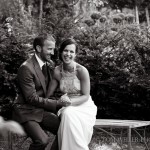 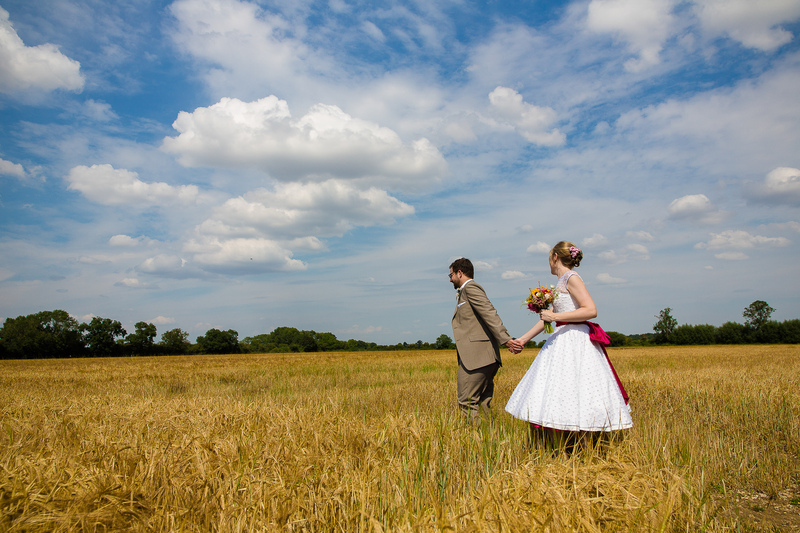 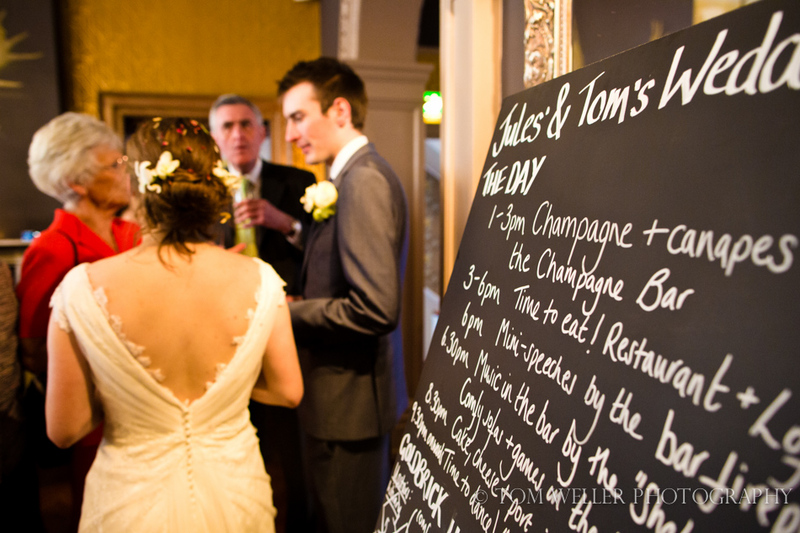 I had really been looking forward to Julia & Tom’s Goldbrick House wedding. 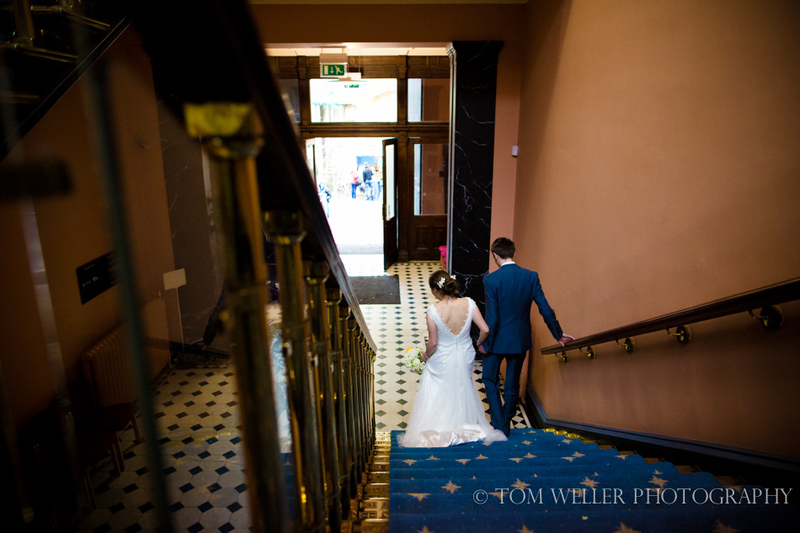 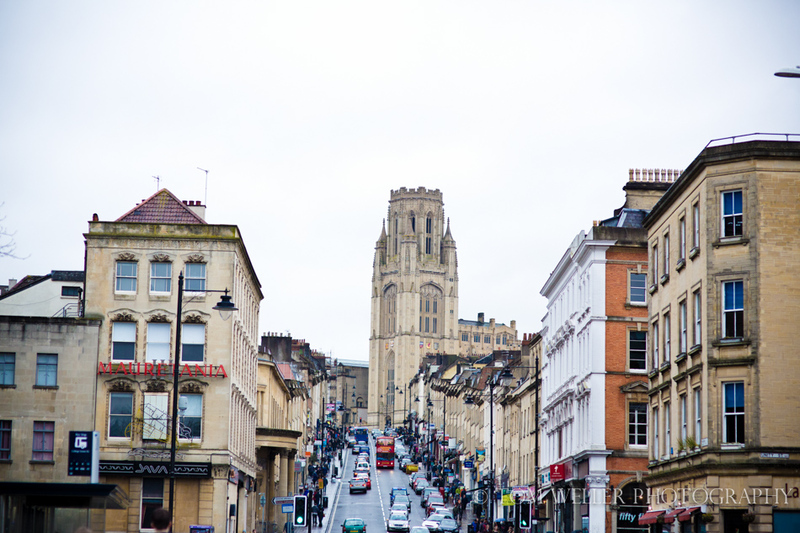 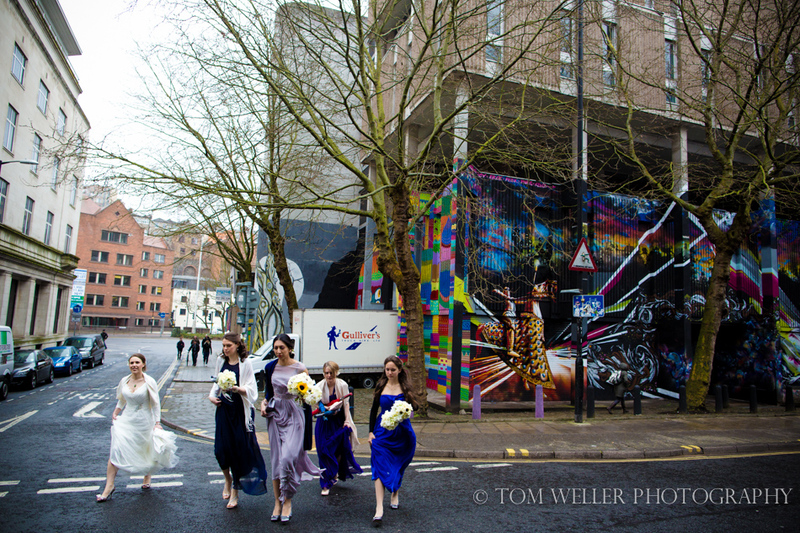 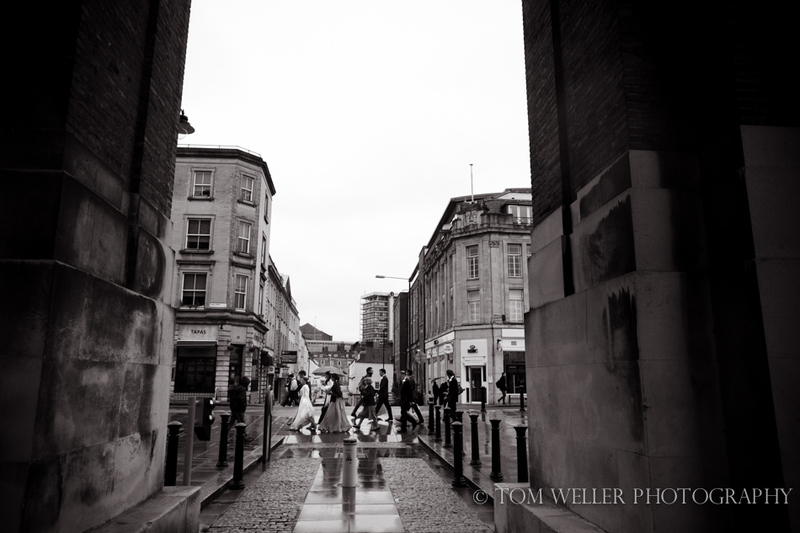 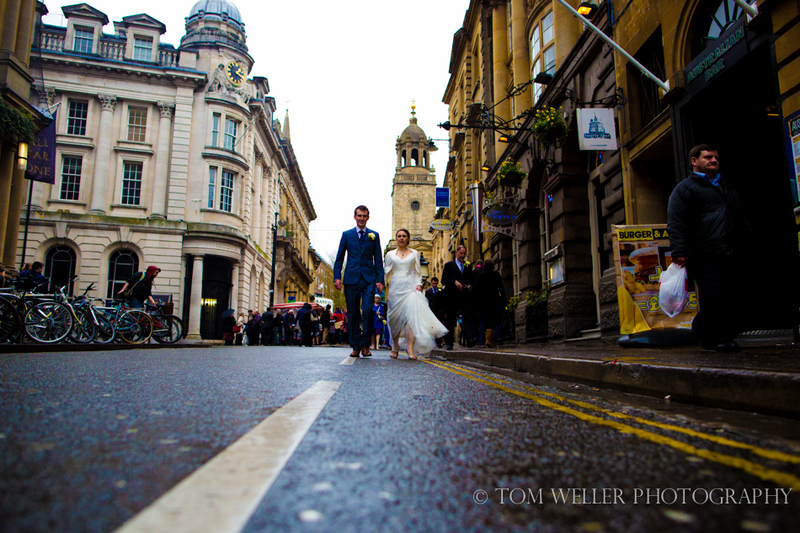 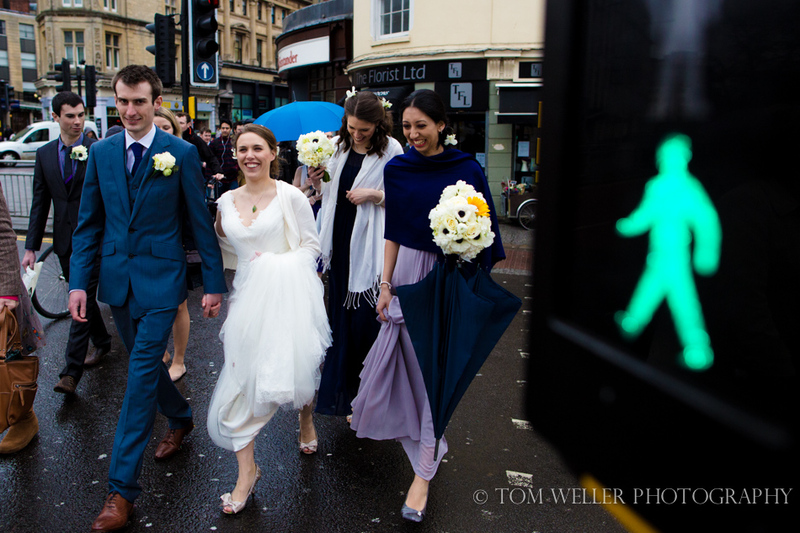 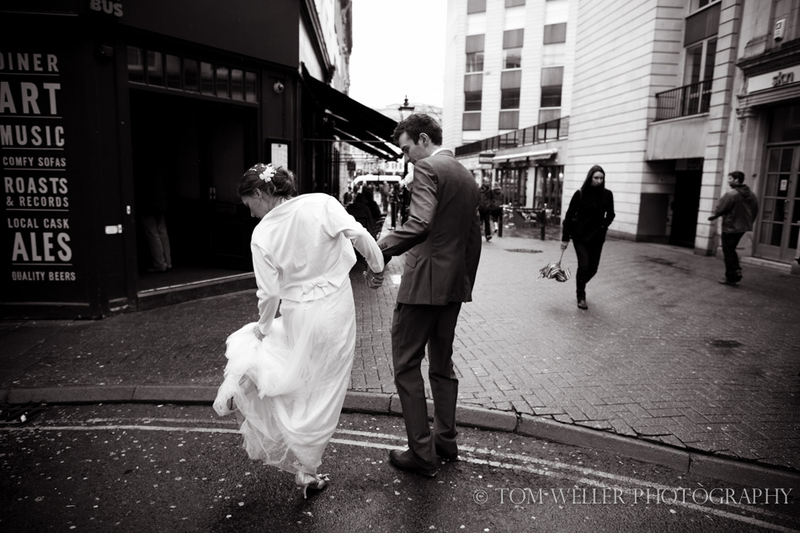 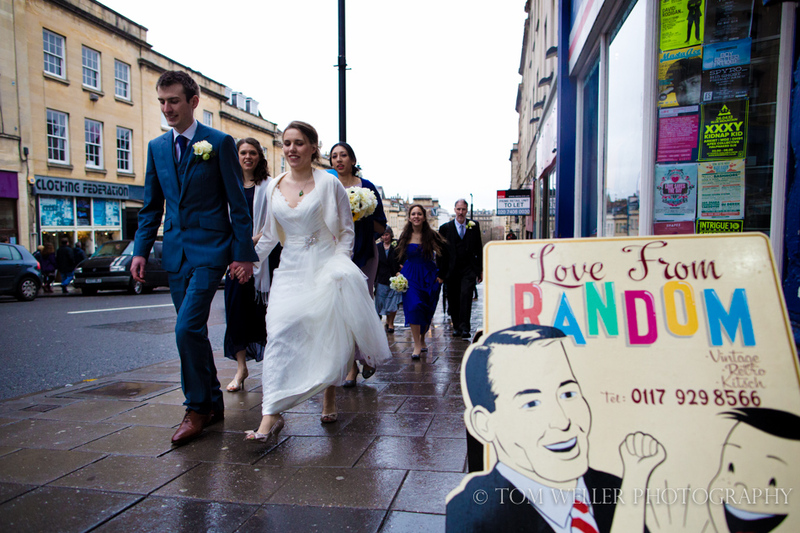 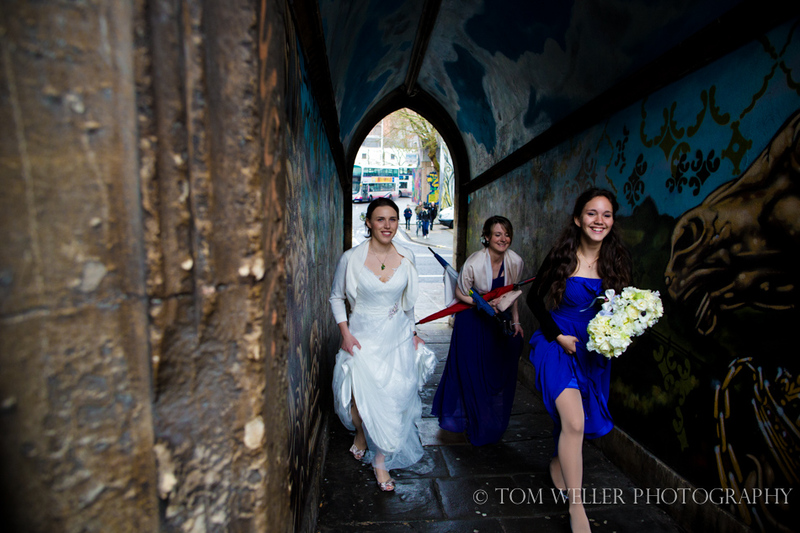 When they told me their plan was to walk from the Registry Office to Goldbrick House after their ceremony I knew that they were going to be fun people – it’s not a quick stroll but a decent walk through a pretty busy part of town. 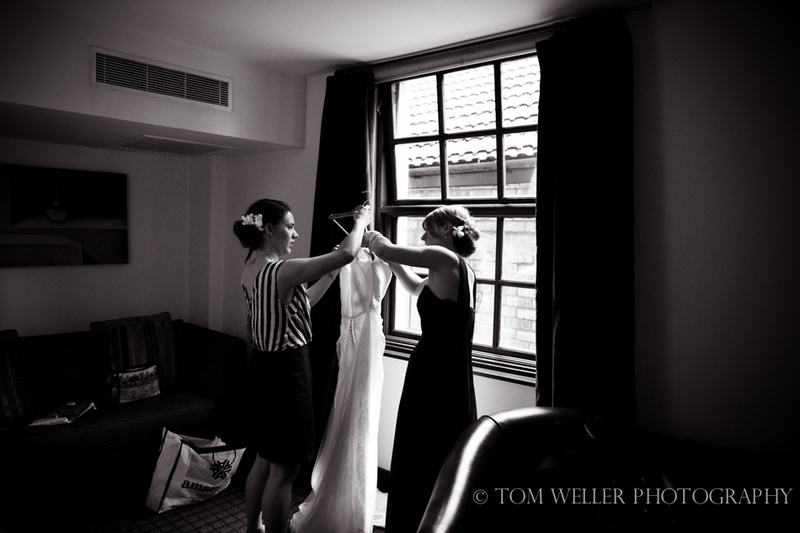 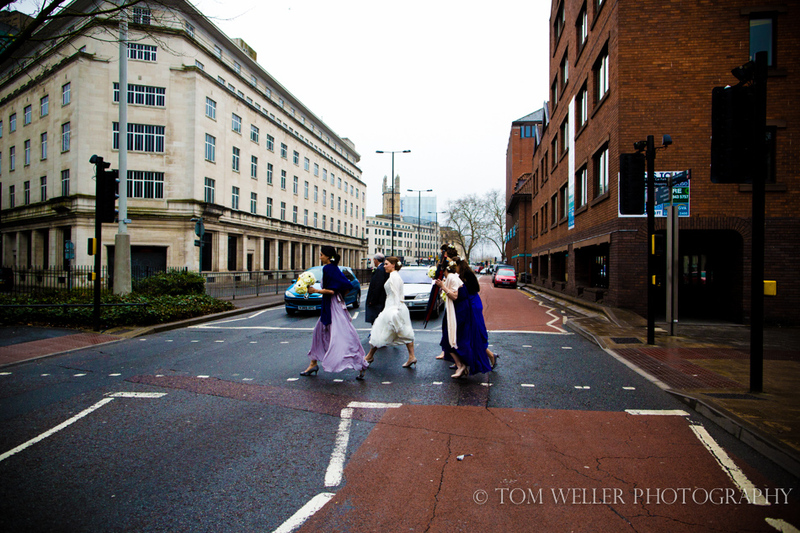 I began with Julia and her bridesmaids at the Hotel du Vin a lovely if (very) dark hotel before we headed off, on foot naturally, to the Registry Office for the ceremony. 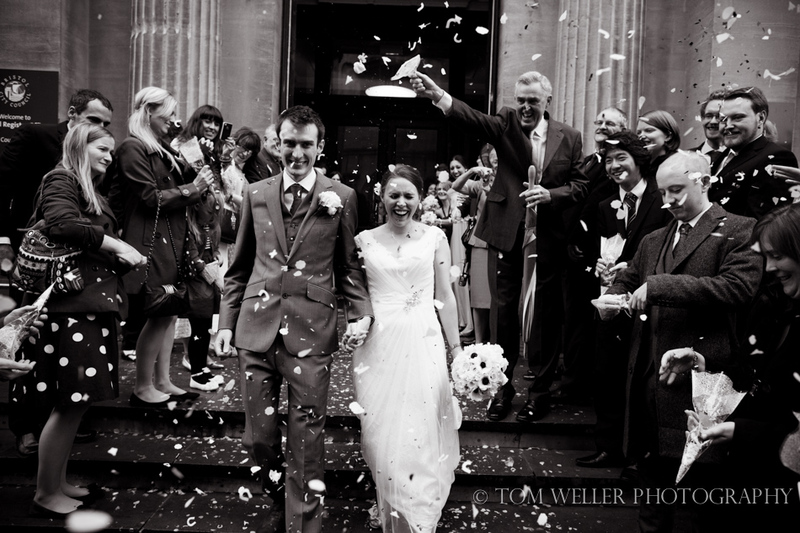 After some very enthusiastic confetti throwing on the steps we then set off for Goldbrick House. 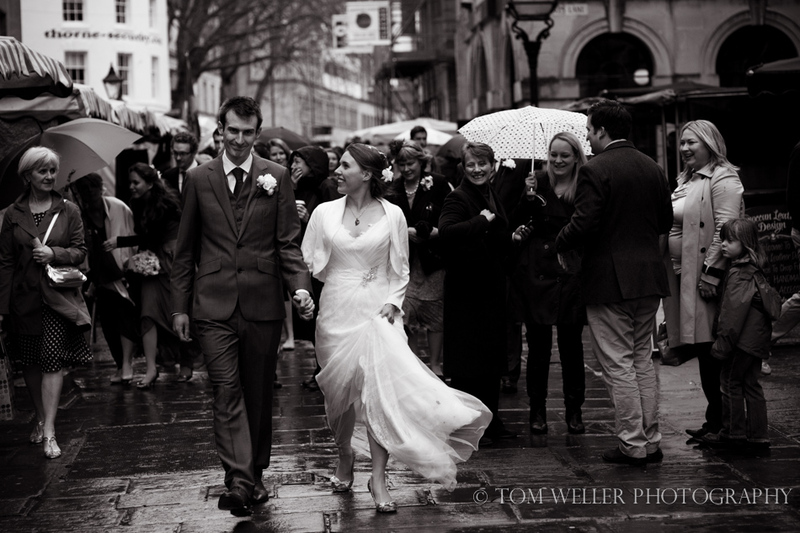 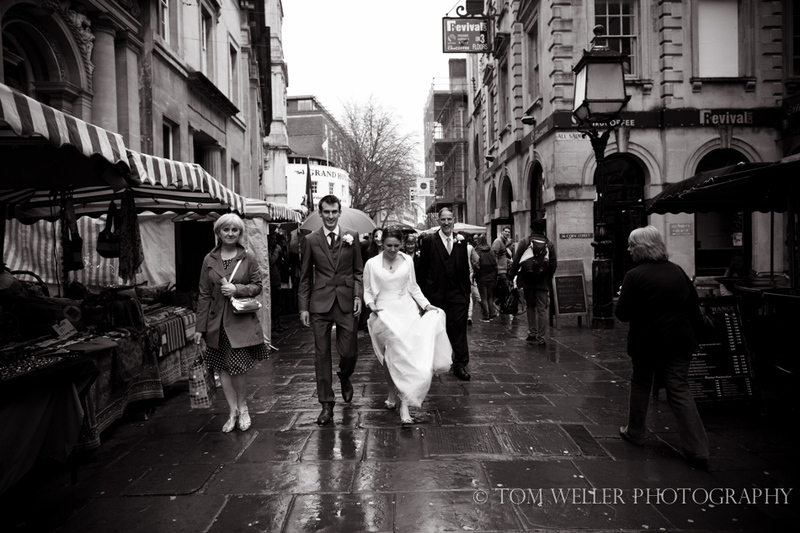 There was a bit of rain but Julia & Tom were completely unfazed. 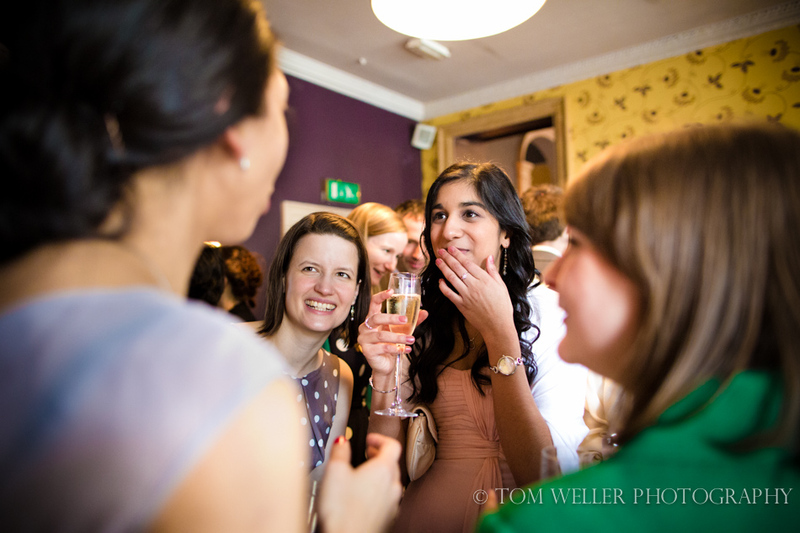 The drinks reception preceded dinner but not before a lovely and emotional speech by Julia. 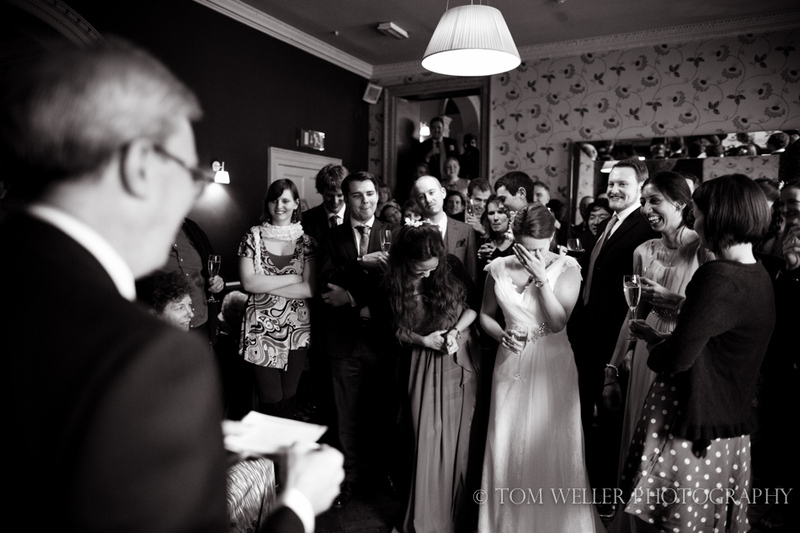 More speeches followed dinner before I headed off into the Bristol evening. 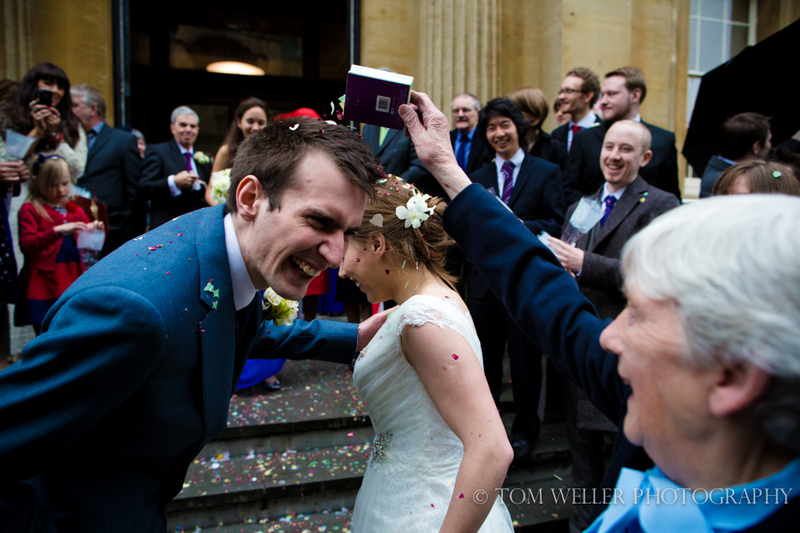 A particularly lovely touch was that Julia & Tom had asked those who wanted to give presents to give books. 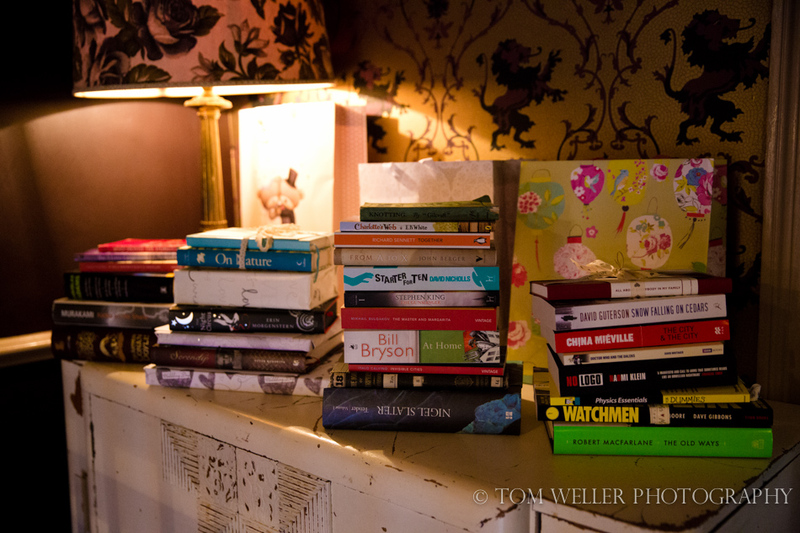 Cue tables being piled with books of all genres, subjects and size – great idea. 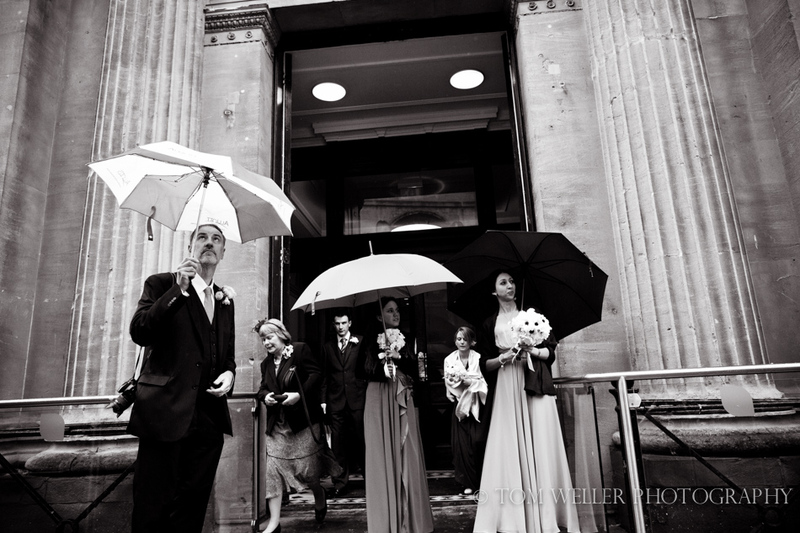 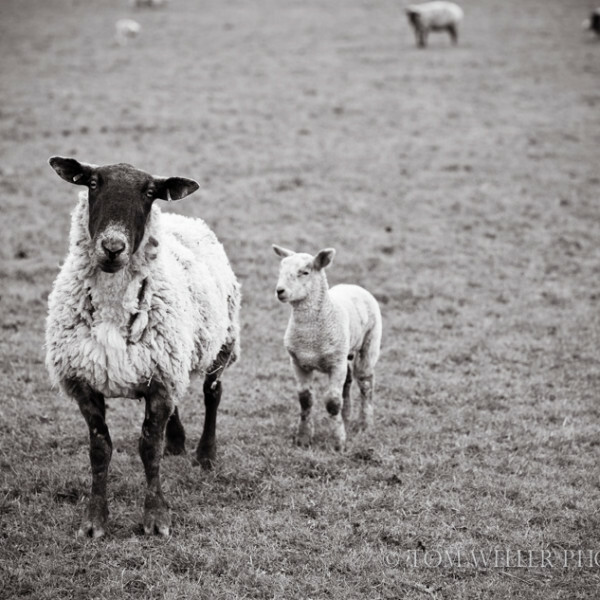 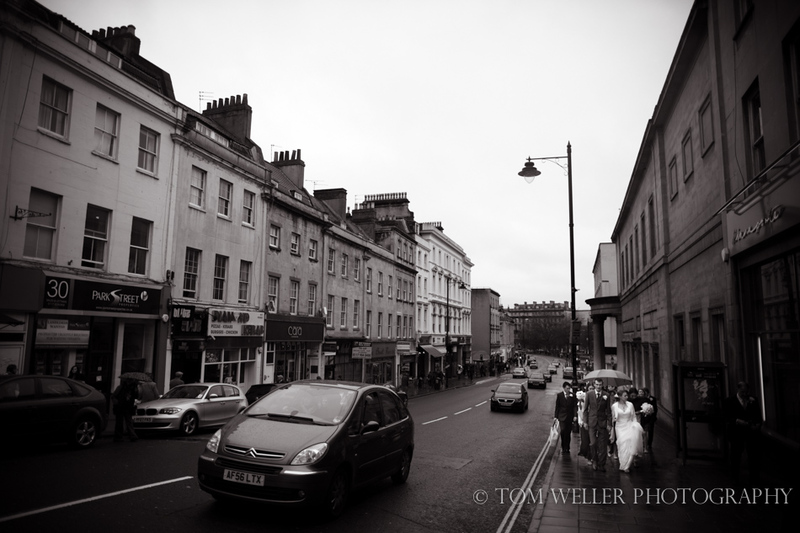 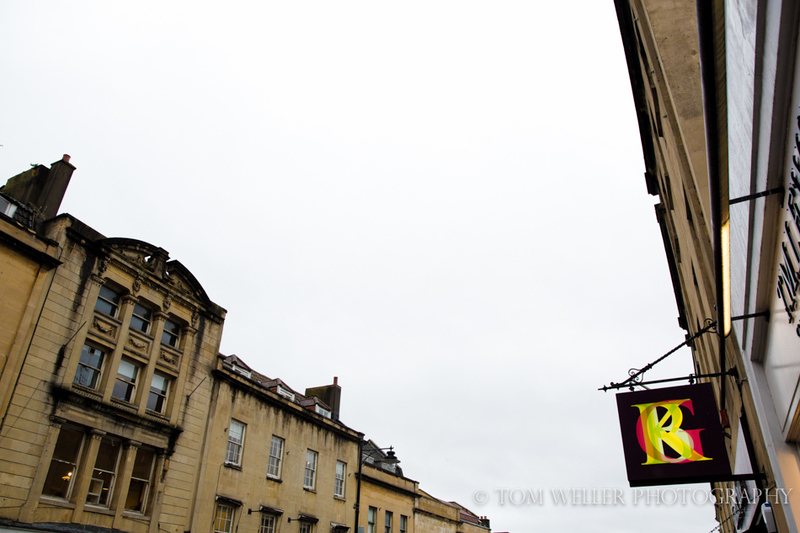 If you are having a Goldbrick House wedding or a wedding in Bristol and woudl like to discuss your wedding photography I would love to hear from you. 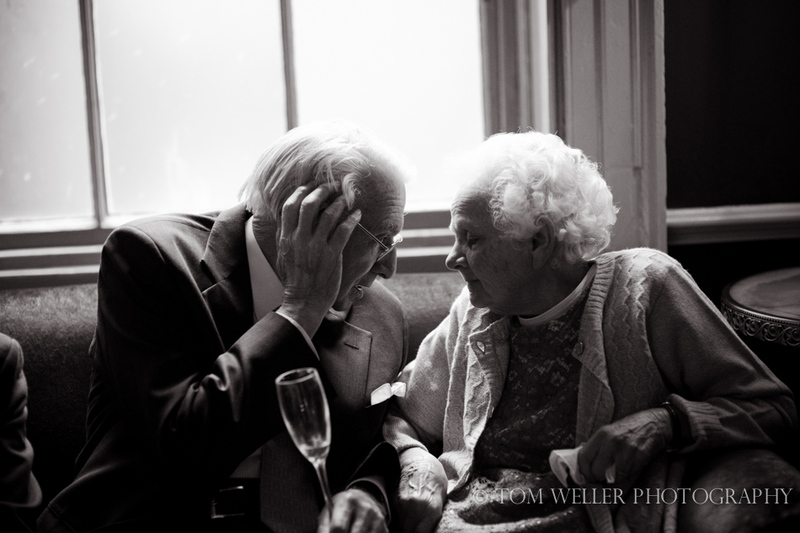 Really very special. 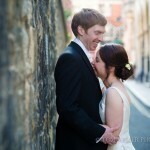 Such wonderful images.